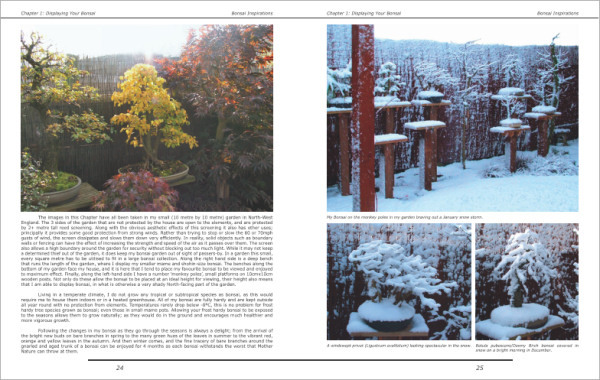 The first book from Bonsai4me, 'Bonsai Inspirations 1' has been re-designed, edited and re-printed after an absence of 2 years. Published: Friday 14th March 2014. Reprinted December 2017. 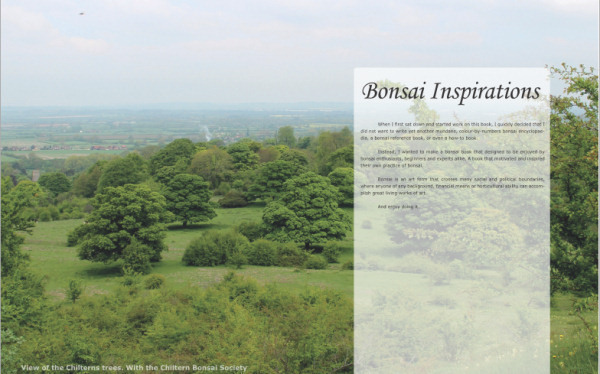 Bonsai4me was initially launched as a website by its author, bonsai artist Harry Harrington, in Oct 2001 and from humble beginnings (the first 3 months saw a total of just 1000 visitors), the website has grown year-on-year as its reputation for clear, interesting and informative articles grew. Bonsai4me.com now attracts over 1.5 million visitors every year from across the world. 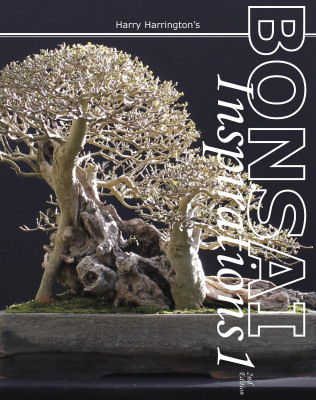 Written over the course of 18 months, 'Bonsai Inspirations 1' the book is divided into 14 chapters, each chapter covering the progression and development of a bonsai over a period of many years, illustrating in great depth how impressive and majestic bonsai can be created from humble beginnings. 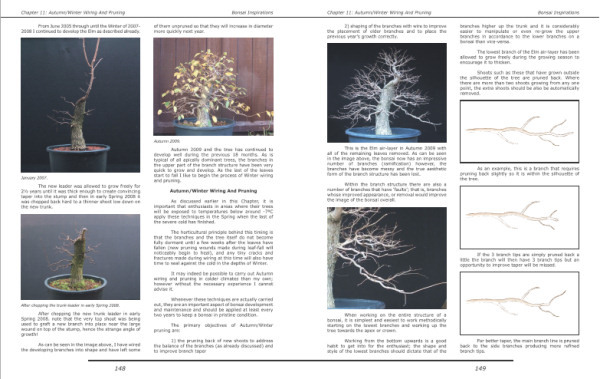 In-depth articles, diagrams and many hundreds of photographs have been inserted into each Chapter to help explain and illustrate the techniques involved in the development of each bonsai. 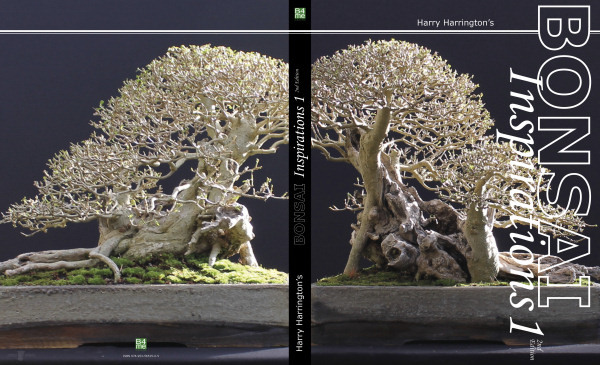 Within the book, Harry Harrington reveals many aspects of his unique work, in particular his carving techniques, branch development and tree design as well as his techniques for ensuring the health and vigour of his bonsai. 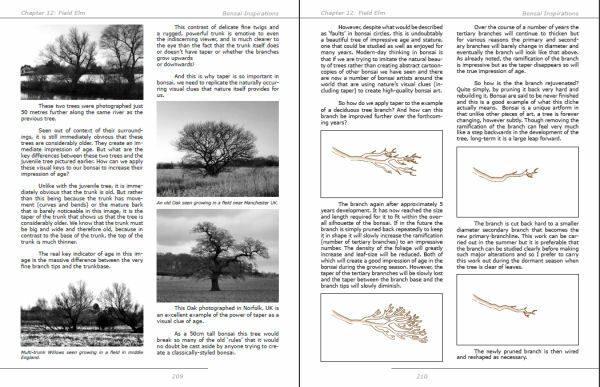 Species covered in detail within the book include Japanese Maple, Trident Maple, Beech, Privet, Oak, Hawthorn, Spruce, Blackthorn, Hornbeam and Elm. 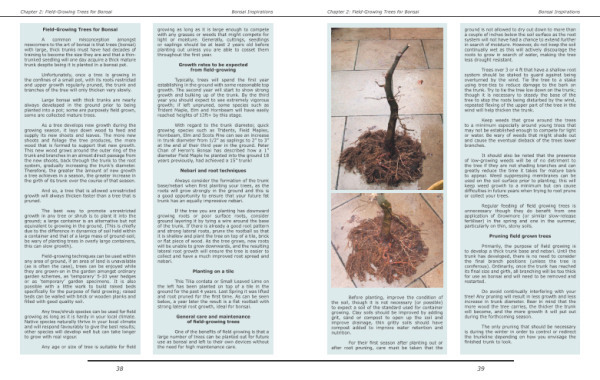 'Bonsai Inspirations 1' has been written to provide interest and inspiration as well as information to bonsai enthusaists of all levels, whether they are novices looking to learn how to look after their first trees, experienced growers or bonsai professionals. "This book and Naka's 2 books are a necessity for any advanced beginner looking to take it to the next level..."
"After being disappointed by a lot of bonsai books in my local library I bought this book. It's such a rarity to see something so thorough. I definitely recommend picking this up for anyone past learning the very basic aspects of bonsai." "This book delves into the specifics of working on pre-bonsai and shows, very well, how these techniques need to be adjusted for each species needs." 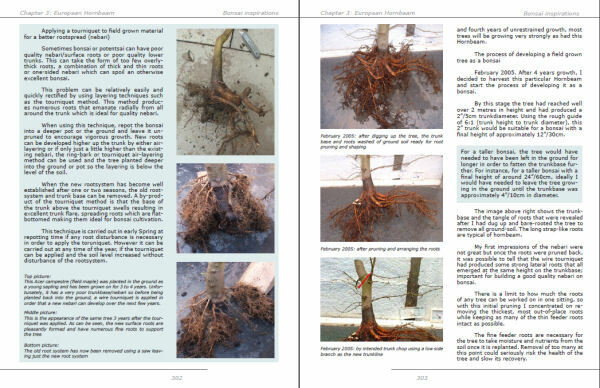 "I read a ton of bonsai books and this book has the best section on building out branches and ramification................ Overall one of the best bonsai books out there." Copyright © 2017 Bonsai4me and B4MePublishing. All rights reserved. Reproduction in whole or in part in any form or medium without permission prohibited.